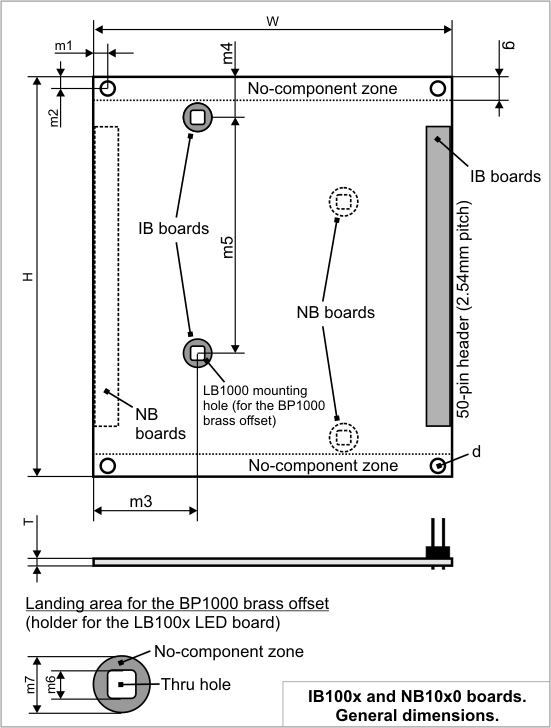 The NB10x0 and IB100x have the same outline dimensions. Both types of boards also feature identical 50-pin headers for the IC1000 interboard cable, as well as mounting holes for the LB1000 LED board. The only difference is that on the "IB" boards the 50-pin header is on the right, while the LB1000 mounting holes are on the left. On the "NB" boards, the pin header is on the left, while the mounting holes are located on the right.